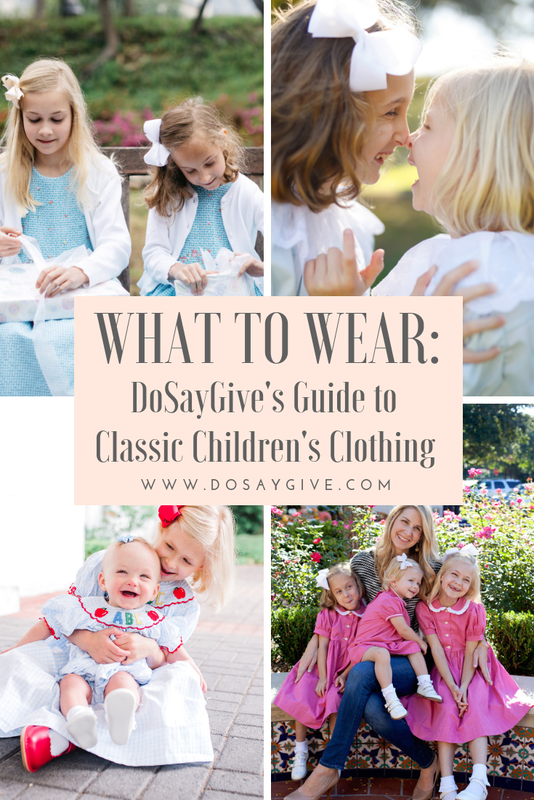 I’m thrilled to finally publish an extensive guide to my favorite sources for classic children’s clothing and shoes . I get asked all the time about my favorite children’s shoes, affordable brands, and appropriate clothing for older girls. For this reason, this guide will live permanently under the SHOP tab on DoSayGive’s homepage and be updated seasonally with some of my favorite finds in all price points. Be sure to browse the entire post for some precious spring finds. And please share your favorite sources in the comment section because I am sure I missed some (and I love to learn about new brands!). Why do I prefer classic children’s clothing? First, I believe children are only children once. Their preciousness and innocence is short-lived and I want to savor every bit of it while I can. Timeless clothing helps me to do that. Dress children like children…not like mini adults. Second, I want people notice my children first, not the clothes they are wearing. That’s why I don’t dress my babies in loud or overpowering attire, or things with characters or pop culture references. I prefer clothing that accentuates a child’s sweet demeanor rather than diminishes it. On that note, and third, we all reflect the clothes we are wearing (which is why we dress up for interviews!). If I dress my girls in sassy clothing I can guarantee it will so much for natural for them to put their hands on their hips and act sassy. I don’t need any more of that in my house! Signatures of classic children’s clothing include (but are limited to): smocking, shadow embroidery, liberty and other small floral prints, and gingham, eyelet, seersucker in the summer . Daygowns (babies), jon jons and button-ons (boys), bubbles (babies) and pinafores (girls) are hallmarks of classic children’s clothing clothing. Is classic clothing always expensive? No. Of course it can be, but once you know what to look for (see above) you will start noticing timeless-looking pieces at Target and Old Navy. I have found some precious things below. 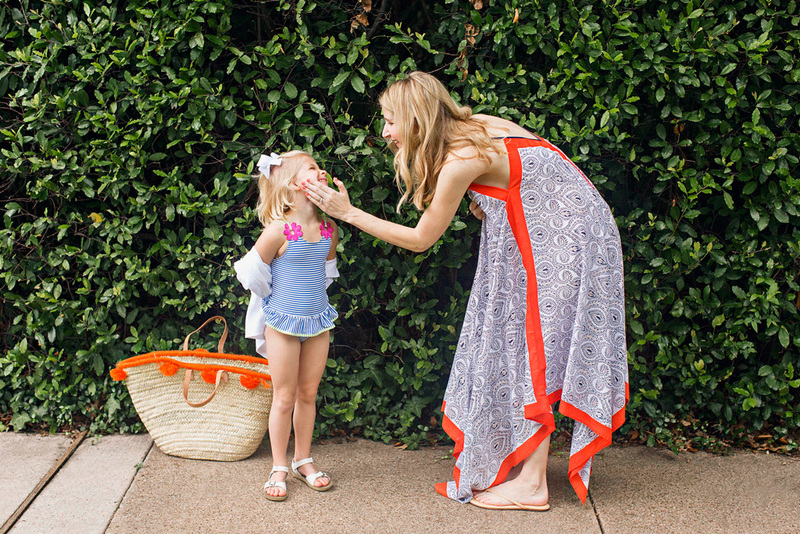 Dresses from Hip Hip Hooray Dallas; Photo: Beckley & Co. Whether you are interested in special occasion dresses, nightgowns, shoes, trunk shows, or budget play clothes, you will find my favorite brands listed below and where you can find online. 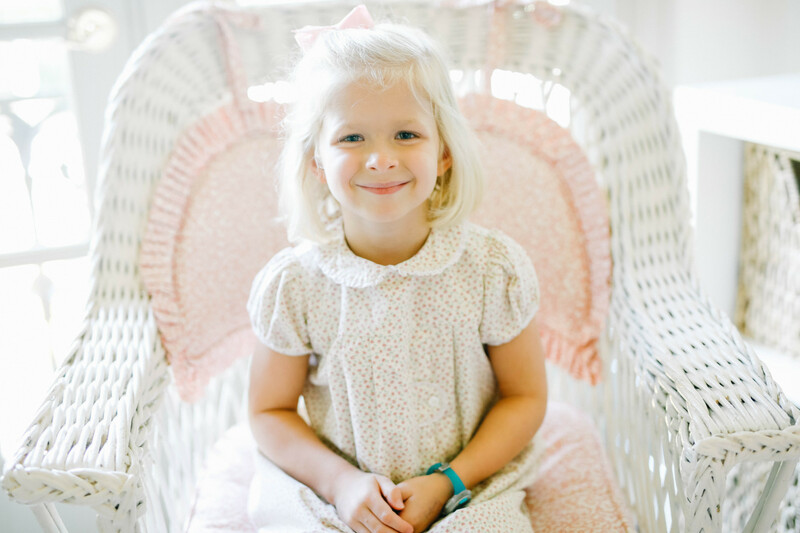 Of course you local children’s boutiques can be your best friend when searching for the right outfits and accessories for your children, especially when it comes to coordinating. Even if you don’t have a local boutique, you can shop many on their Instagram feeds and they will ship the clothes right to you! Several of the dresses in this post are from Hip Hip Hooray in Dallas. Smocked Auctions – I just saw they carried the timeless Remember Nguyen brand. How precious is this lamb gown with shadow embroidery? Don’t miss these adorable monogrammable baby shoes. Lullaby Set – Available only at select boutiques like Layette in Dallas. 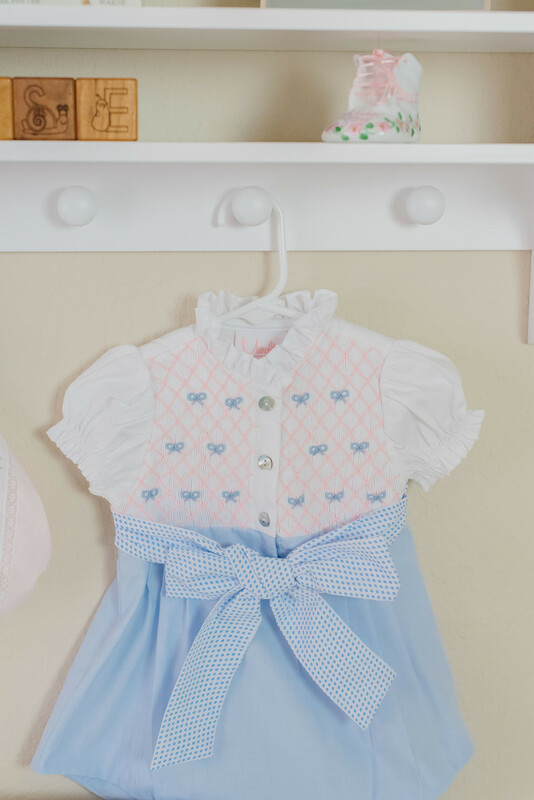 The Beaufort Bonnet Company – This darling debut set makes a great baby gift. Magnolia Baby – In boutiques and on Amazon! Pixie Lily – Online but more selection in boutique stores. Feltman Brothers – Timeless! Something to keep for grandchildren! In select boutiques and at Dillards (so check for sales!). Boden – They sometimes have sweaters that look like what Princess Charlotte wears. This one is adorable. Hanna Andersson – They have some really sweet footed pajamas and gowns. Louise has this wearable blanket which is a calm alternative to some of the other blanket sleeper options on the market. Neiman Marcus – Tucked into their children’s selections you will find some classic brands often found at boutiques. Like this Luli & Me line that I love. Better yet they often go on sale! 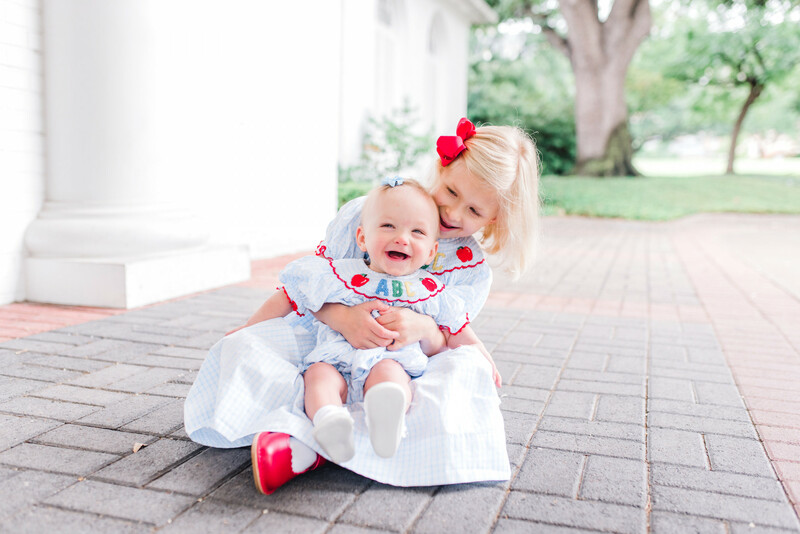 The Beaufort Bonnet Company – What started as a bonnet company now offers a full line of adorable baby and children’s clothing (mostly under size 5). I also love their pajamas, swimsuits and this their pima cotton shirts are a wardrobe staple. The Proper Peony – Known for their sweet embroidered dresses and of course their tulip dress and bubble. Frances Rose Boutique – Darling ready-made lines in addition to custom line. Dondolo – This company has a really neat mission to help empower the women who make their beautiful clothing. You have to keep checking their website though because they don’t always have inventory online. Instagram – It is so easy to shop small boutiques on Instagram! La Coqueta – Did you know the Spanish often dress their children in classic clothing? I love browsing through this site. So many timeless clothes and shoes. Like you’re in a storybook! Florence Eiseman – Darling applique clothing that I wore as a child – available at Neiman Marcus, Saks, and other fine retailers too. Rachel Riley (girl and boy). This is an English brand and you can tell! It’s just darling. Prince George and Princess Charlotte have both worn this line. Lilly Pulitzer – A Lilly shift dress is timeless! I usually buy one dress a summer. Great for church, dinner, play. They are pricey but oh so durable. We have hand-me-downs from friends that are 10 years old and still look new! Oh and they have matching dresses for mom! Ralph Lauren – I know, you probably didn’t think of this one! But they have darling things, especially for bigger kids. And, better yet, often have great sales. Dillards – Yes! You can find some treasures online. Love the price point of the Petit Ami brand. They also have their own in-house brand called Edgehill that has darling dresses, bubbles, and jon jons. Nordstrom – Hit or miss but sometimes you can find darling things from the Peek brand which has darling clothes. I wrote about it here. The Tot – They are definitely a modern company but funny how it’s becoming trendy to dress a little classic. I’ve seen darling dresses and coats here. Six Honeybees – Shop your favorite high-end brands at a discount here. The Yellow Lamb – Beautiful heirloom quality everyday classic children’s clothing. Smocked Auctions – If you don’t know about Smocked Auctions (which you probably do!) they have an enormous selection of play clothes, church attire, swimsuits, bubbles, boys’ jon jons and even cute things like children’s sunglasses and fun toys. Definitely follow on social media for flash sales. Eyelet and Ivy – This is the company I get so many questions about when I post. The clothes are so sweet, but soft so my children like wearing them all the time. I ordered a bunch of things for spring. I also wrote about this company here. Boden – You can find some gems at Boden, especially when on sale. I often find smocked dresses and tops and Liberty or Liberty-inspired fabrics. Boden is an English company and the clothes definitely reflect that. Also available at Nordstrom with free shipping. Smockingbird Clothing – Easy to shop on their social media feed! Cecil and Lou – Also easy to shop on their social media feeds. Darling pre-orders. J.Crew Factory – Seek out basics for boys and girls here. Old Navy – Once you know what to look for when it comes to timeless clothes, it’s easy to spot budget items. Also a great place for basics. Hanna Andersson – Their loud prints might not qualify as classic but you can find things along the lines of Florence Eiseman. Or gems like these Old Sole shoes. (Obviously better when on sale!) Great for durable basics like tees and leggings, too. 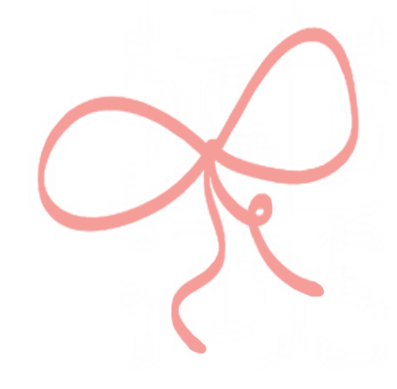 Frances Rose Boutique – Custom and online ordering. Beautiful shadow embroidery, smocking, and other timeless techniques. Peaches Barnes – Gowns for baptisms, portraits, and special occasions. Every piece is made to order and can be for up to five years. Dresses can be sent back to Peaches Barnes to be let out or to add a collar or embroidery. Truly an heirloom! Wildflower Heirlooms – Custom heirloom “coming home” outfits. See this post. Elizabeth Layne Heirloom – Custom and occasional online sales. Peppermint Pony – Online and at select retailers. Of course your local children’s boutiques. 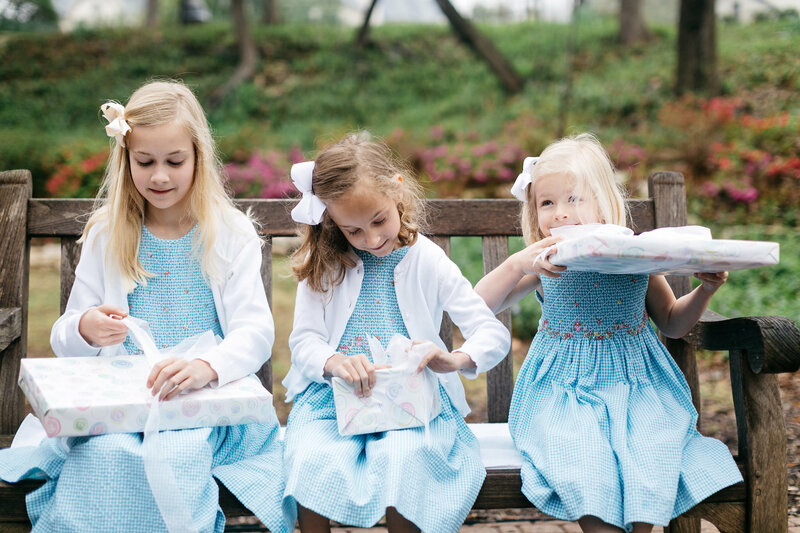 Hip Hip Hooray in Dallas often has trunk shows and we bought our girls’ flower girl dresses from Layette. I grew up wearing nightgowns and my girls often do, too. Whether nightgowns or pajamas sets, though, I always buy cotton pajamas. (My grandmother said never put them in polyester pajamas as it will make them sweat – and she was right) Many times the big box stores will sell polyester pajamas that make my children so hot. Plus, many of them have flame-retardant chemicals in them so just know what you are buying. Cotton is my preference. Smocked Auctions – Love all the pj’s and their gowns are the right price and cotton. Petite Plume – Luxury brand with adult pjs, too. Would make a lovely gift! Eyelet and Ivy – One of my go-to’s for matching gowns for my daughters! Kate and Libby – You can customize this gown but of course I always love white. Boden – Shop their nightgowns here. This 2-pack is a pretty good deal for sweet pajamas. This set is so cute for boys. Roberta Roller Rabbit – I can’t enough of their animal-print pajamas. Yes, they are modern but like Lilly I think they have a timeless nature. They are pricey but meant to be worn for multiple years. Etsy – You can find many sweet small shops like The Orange Iris with monogrammed pajamas. Eberjey – Precious but pricey! So my non-Southern readers might not be familiar with trunk shows so here’s the scoop: a few moms will host a show at their home and invite friends and neighbors to browse samples and pick out clothing for their children for their upcoming season. For example, during January trunk shows people order for their children’s spring and summer clothing. Turnaround time is usually 12 weeks. Oftentimes, you can change out fabrics and colors and trim and coordinate wardrobes for siblings and cousins. Trunk show shopping is usually expensive, but they are generally very well made so can be thought of as an investment. Much of the clothing my five year old wears I bought seven years ago for my oldest, and it still looks great. Alice Kathleen – Where I buy a lot of the Liberty floral pieces my girls wear. Traditional apron and other styles. Red Beans – A little less expensive than Alice Kathleen, but very similar pieces and the quality is good. Hannah Kate – Very beautiful clothes and fine quality. Shrimp and Grits – Traditional smocked clothing at very good price points. Can also shop online. Mary and Grace – Also can shop online. Love their line but because of lower price points, their clothes have not lasted as long as some of the others. Obviously I am not an expert on this so please share yours below! Ralph Lauren– Great for classic button downs and dress pants. Southern Tide and Southern Marsh for warm weather apparel. Johnnie-O – My nephews love their prep-formance polos. Old Navy, Gap and Target for budget staples like polos and shorts. A Peek skirt I found at Nordstrom in a timeless Liberty print; Photo: Megan Weaver. J. Crew Kids – A staple for us and sizes up to 16. Bella Bliss – This has been my go-to lately! Vineyard Vines – Nordstrom online carries it and free shipping/free returns makes it easier! 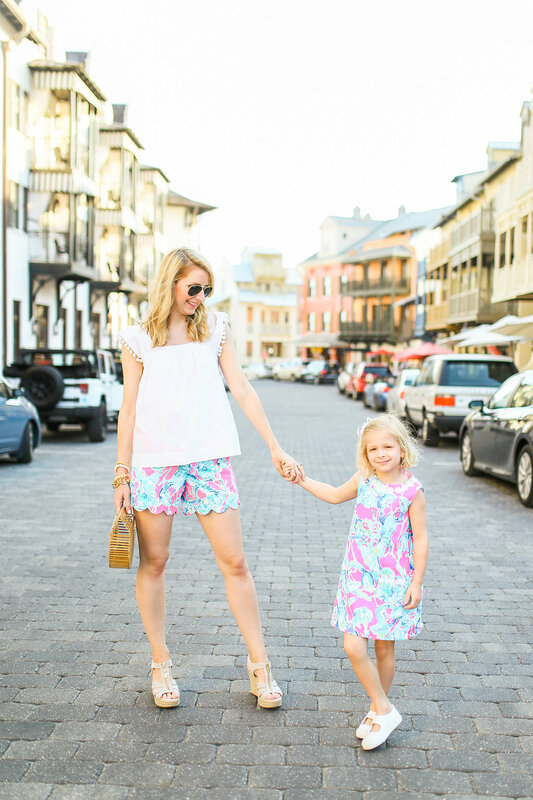 Lilly Pulitzer – They go up to size 14 and carry 00. Great for church dresses and don’t forget about them in the fall because they have great things! Florence Eiseman – Up to size 16. Frances Rose – Up to 12. Busy Bexe Kids – Up to size 14. I haven’t tried them yet but they came recommended. J. Crew Factory – Their 00 adult sizes fit my 12 year old. These scallop skirts have been great for her. Gap – Hit or miss when it comes to appropriate clothing but we definitely find some things. Many of the trunk show and special occasional companies listed above go up to a size 14. Boden – A British clothing company that makes fabulous casual wear for all ages. Petit Bateau – A French clothing company that makes great quality, modest clothes. You can spot Florence Eiseman swimsuits from a mile away; Photo: Beckley & Co..
Smocked Auctions – Affordable for boys and girls and a great place for rash guards. The Beaufort Bonnet Company – Their boys’ trunks are precious as are all their girl suits. Florence Eiseman – Their swimsuits are recognizable anywhere! So darling and timeless! Funtasia Too – Love the price point for this boutique brand. I buy at Hip Hip Hooray in Dallas. Trunk shows – See above. Our girls wear these coverups from Amazon! 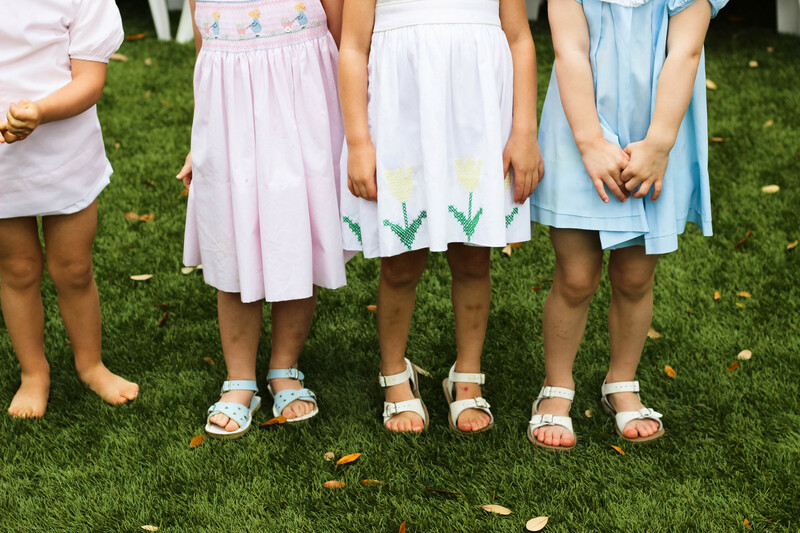 Proper Peony Dresses with Footmates shoes; Photo: Megan Weaver. Elephantito – For both baby and child. Smocked Auctions has a huge selection of classic shoes at the right price. Look at these darling T-Strap shoes for $22! Footmates – For baby, these crib shoes. 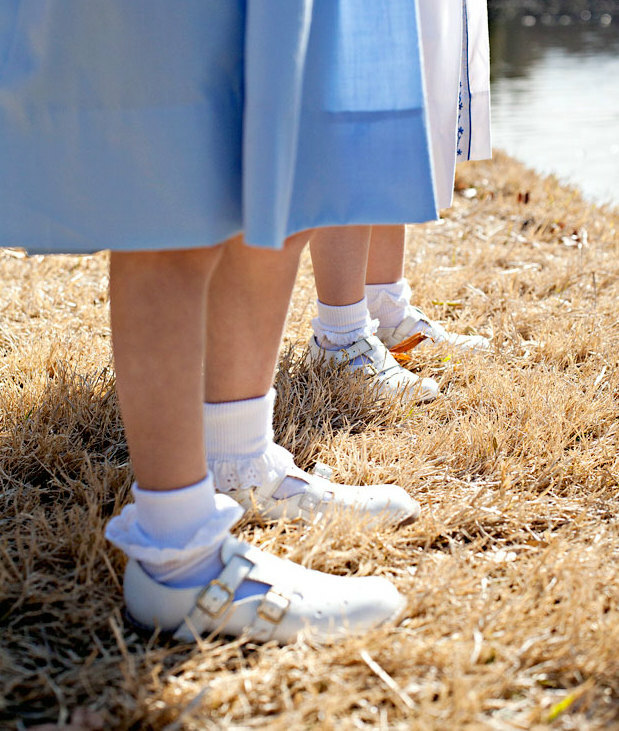 We also like these Mary Janes for our older girls. Mary and Grace – I pre-order many of the brands mentioned here on Mary and Grace for a discount. So worth getting on their email list to know about these pre-orders. Old Soles – Probably my favorite toddler shoe for early walkers. Louise has these baby pink ballet slippers. Of course your local boutique is a good place to start! We also visit Stride Rite. Saltwater Sandals are great because you can adjust the straps as they have their summer growth spurts. Saltwater Sandals – I prefer white but also have bought pink. Gold is definitely a neutral these days. For boys, white or navy is a summer staple. For girls I also like these with heart cut outs. Keds for baby girls and toddler girls. Jack Rogers – Jack Rogers – Girls can wear with sundresses. Cienta Shoes – I asked asked about these all the time on Instagram. Love the price point and my girls love the comfort. We have bought silver and navy. Native Shoes – So versatile! My girls wear Jeffries lace socks and knee highs. On Amazon or in local children’s boutiques. A classic wardrobe staple for girls! Some mom use these strictly for diaper covers. But my sister and I wore these an underwear when we were little. My girls wear them over their underwear under dresses up until they are 8-9 years old. Covering underwear is a simple way to start teaching modesty and manners. Etsy has so many cute shops that monogram bloomers or just buy plain on Amazon (can always take to local monogrammer). Dresses from Hip Hip Hooray Dallas – they ship all over the country! Photo: Beckley & Co.
A Julius Berger sweater (shown above) is a staple in our house. My girls wear them year-round. They are durable and go with everything. Available in most fine boutiques and on Amazon. (Obviously any white sweater will serve the same versatile purpose and most children’s stores carry them. I found a less expensive alternative here). White short sleeve and long sleeve collared shirts (love the quality of The Beaufort Bonnet shirts linked above). Floral (spring) and corduroy (winter) skirts for older girls. Gingham and/or seersucker shorts with white tees in summer. Bows and headbands. We like traditional grosgrain bows or good old fashioned ribbon. I also found these adorable Lolo headbands in Liberty prints. Okay tell me your favorite brands because there are so many more I know! Or if you have a small boutique you love please share them below as well! Love all the ones you mentioned! Posh Pickle has some seriously cute and classic clothing. They mostly do pre-orders. 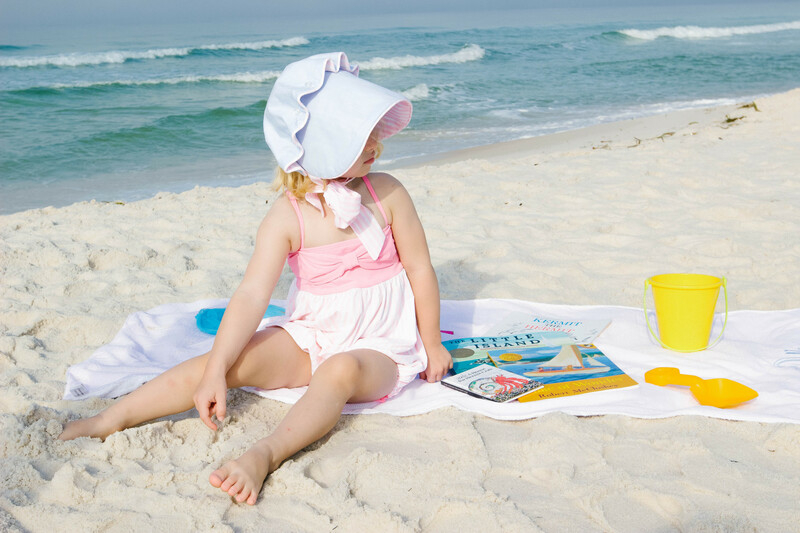 CWD kids (catalog and website) has some classic dresses for big girls, great night gowns for all sizes and cute swimsuits. Some of my other favorites are Cecil and Lou, Bella Bliss, Lilly Pulitzer, shrimp & grits, Remeber Nguyen. And my goodness, don’t we all miss Strausburg?! ? I think we shop all the same brands! For boys 5 or older, I also like e-land. They are sold in boutiques but also have a website. Cute older girl stuff too but I have only bought for my son. The pants work well if your son is on the slim side. Also, Ruffle Butts has cute, modest swim suits for girls. We always get the rashguard two piece sets in several colors. Good to know! Thanks for the suggestions!! Love this. I second the rec for e land! Also recommend slim fit polo pants for boys who are more petit, and great to order them online! Also recommend for boys prodoh (sp?) for nice outdoor wear. Another British brand similar to Boden is Tom Joules! One of our favorites ! I don’t know about them. Thank you! Will look them up! I love this post so much! And I’ve been *needing* fresh ideas for girls clothes. I have nearly-10-year old twin girls and they are now into the exercise leggings phase, which is easy and comfortable. They are definitely pushing back more on the sweeter, more classic styles. Any tips for encouraging your older girls to wear what you want them to wear without squelching their personal expression? I only buy clothes that I feel comfortable with them wearing, then they only wear a few of those things over and over. I’m tired of the black exercise leggings! At the same time, I’m sure we’ll look back at this phase and miss it. 🙂 Thanks for your hard work on this post! It is so hard with the older girls! For church and dinner and things like that like that she will wear these kinds of clothes. Anytime else is usually leggings and tees! She wears uniforms to school so thankfully don’t have those daily battles;). I’ve found some good, reasonably priced items with Cath Kidston, another British company with mostly liberty style prints. I like the dresses from Tea Collection for playtime – sometimes their prints are pretty loud, but I often find some that I really like (and my daughter loves their “twirly” skirts). Primary.com is good for all those basics – leggings, cartwheel shorts for girls, play dresses, tees etc. I like getting basic jumpers (sometimes add a monogram) and put a collared white shirt under it for dressier occasions, or plain white tee from Primary for everyday wear. I’m all about getting multiple uses out a single item! Thanks so much for the recommendation. I didn’t know about some of those company! Yes, we like Tea Collection, too! Good to know! Thanks for recommending! Great post!! My kids are still little (3 under 4) but they are starting to get to the age where a lot of clothes get too trendy for my taste. I found some great new brands thanks to you! Question for you, I love the look of white dresses and t-shirts but stay away from it because of stains. Do you have any tips for keeping light clothes looking new? Between coloring, playing and eating, I feel like I’m always finding stains on new clothes! Great roundup! They are only little once and for such a short time. 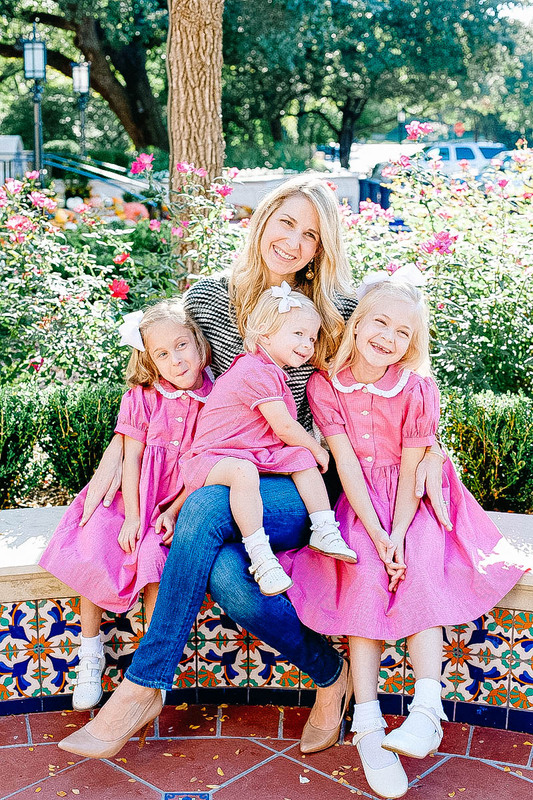 I own an online children’s boutique – J. Wills – and we carry pieces similar to the ones in your post. There are some great brands out there now offering some precious pieces for little loves. Oh wonderful! Thanks for sharing about it! I love Chüs shoes for both boys and girls. Classic! Oh yes! Forgot about that brand! Thanks! Funtasia sells Maggie Breen line which is good for older girls. Oh thank so much! I need to add that to my list above! Love this post! I have 2 children (4 year old boy and 7 month old girl) and want them to look like children. I dress my son in lots of Boden these days. It is so hard to find play clothes for boys that don’t have some kind of tacky graphic. He’s just starting to think that smocked clothing is for “babies”. He also wears Plae shoes. Their tennis shoes aren’t too bold plus they have great water shoes (similar to Native but with velcro- good for narrow feet). I love all the brands you mentioned plus The Little English. I also follow The Frilly Frog and The Plaid Rabbit on Instagram for sales. I grabbed 2 T.B.B.C Juliet Jumpers for like $20 each last month. 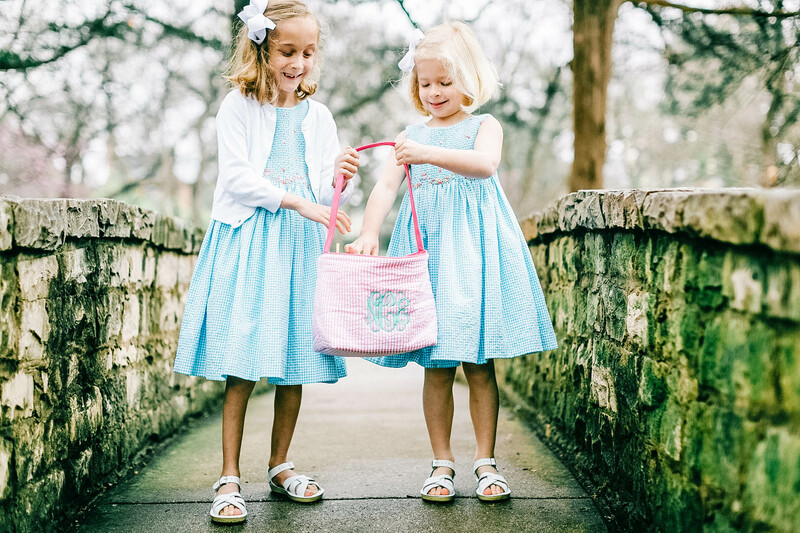 Do you monogram any of your daughters’ clothing? I LOVE monograms but rarely monogram my children’s clothing because then the item can’t be passed down. Boden is great!! Thanks so much for the other recommendations!! Funny, I don’t monogram as much as I used to. Don’t get me wrong, I love it! But it’s just not practical with four girls. Although I admit my five year old does wear some clothes with her older sister’s monogram! Oh that’s nice! Thanks for sharing! It was easier with my older two girls who were more compliant. But they all basically know that they wear what I tell them to wear. I also don’t buy clothes I don’t want them to wear so that makes it easier. However, my third daughter is way more vocal about her outfit selection. I usually let her decide what she wears at home if we are just playing, but I decide what she wears to school, church, and pretty much anywhere else. And my 10 year old is in middle school. I don’t buy anything I don’t want her to wear but her go-to play outfit is leggings and a tee. But for church, dinner, and things like that I have her dress more appropriately. I think you would love bows by The Bow Next Door. They have a little showroom in Fort Worth and are in several children’s boutiques. They also make bow ties and belts for the boys. Classic, southern designs! Plus run by a sweet mama! 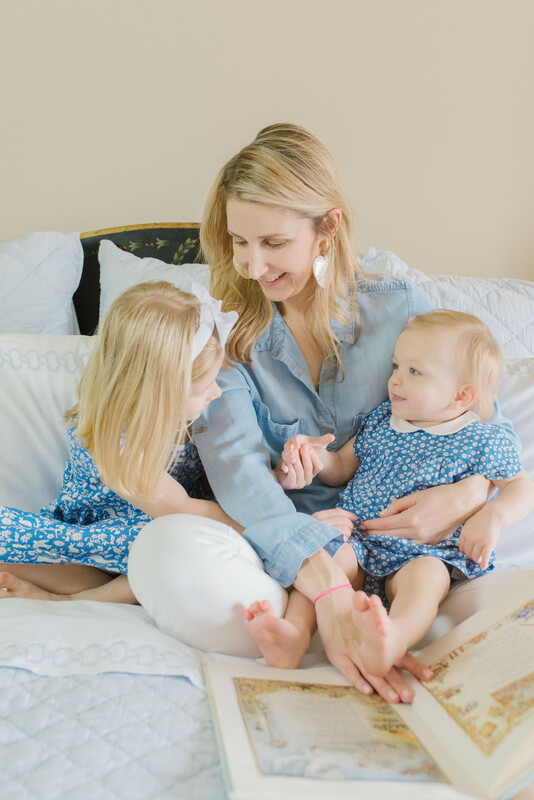 They share a showroom with Lila + Hayes that has classic layette pieces, pjs, and more. I think you would love bows by The Bow Next Door. They have a little showroom in Fort Worth and are in several children’s boutiques. They also make bow ties and belts for boys. Classic, southern designs! Plus, it’s run by a sweet mama! 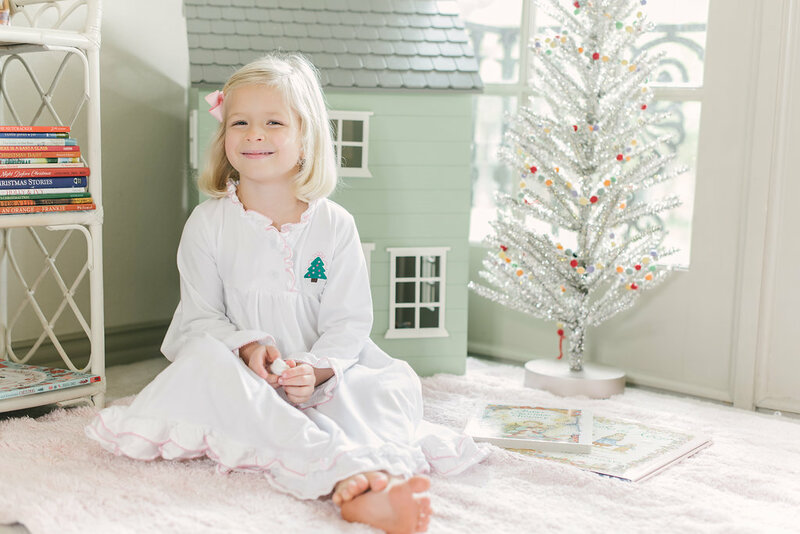 They share a showroom with Lila + Hayes that has layette pieces, pjs, and more. We love this article and all of these brands you mentioned! We have every single one at Small Pockets off of Inwood Rd. We are a high end children’s resale shop, but also have 30% new inventory too from brands like Baby Threads, Vive La Fete, Mud Pie, Kickee Pants, Funtasia, Hoy, , Angel Dear, Tea Collection, Petit Ami and more! Come by and see us sometime!! We do custom heirloom clothing for boys and girls. Also christening gowns. Great article on classic clothing !! We are a doll store for 18” doll clothes, however, we offer classic nightgowns for girls. We currently have a pink gingham nightgown that is adorable for Easter. You can buy the girl nightgown separately from the doll nightgown. Check us out! ?Classic Limited Edition Collections and Vintage-inspired Heirlooms by Southern Stitches. All my collections are handmade by me and no one else, with an attention to detail. I also sell beautiful vintage heirlooms! Find me at southernstitchestnusa on Instagram. Proper fitting clothes will always make your babies smile throughout the day. Today, fashion plays a very important role in all our lives, not only adults but even babies and kids are affected by the fashion as the parents always want to dress up their kids in the best possible manner. The designs which are available in the market today reflect the physical appearance of the kids a lot. Thank you for this beautiful article and these pretty pictures. Classic kids clothing is a such a beautiful way of celebrating the magic of childhood. We would like to suggest our brand Charlotte sy Dimby. We are specialized in smocked dresses handmade within our very own atelier. 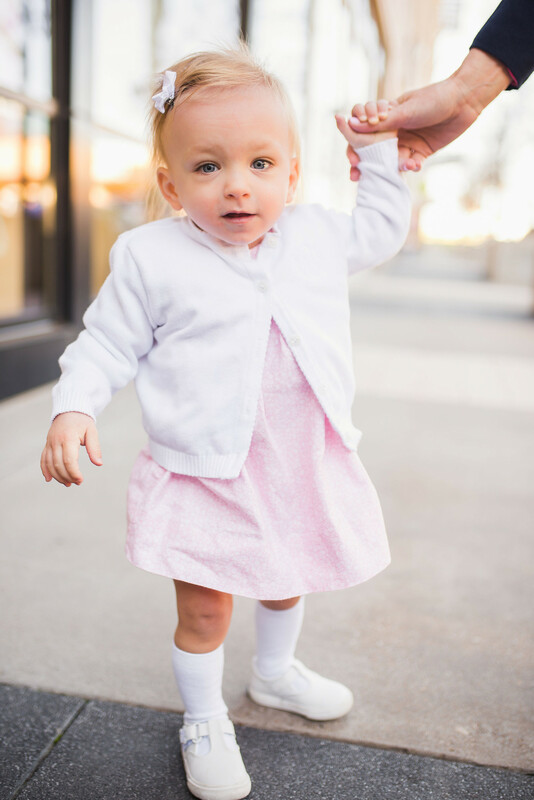 We make limited editions with one, maximum two dresses per size to make each child feel special and unique. We have a unique Parisian boutique named L’Île aux Fées and ship worldwide through our e-shop Charlotte sy Dimby. If you wish to know more please feel free to contact us, we wouls be delighted to hear from you. Please email tiffany@dosaygive.com! Would love to connect! Classic clothes look terrible!!! !whats wrong with kids being sassy I feel bad for your kids.dont waste your time on this! READ THIS IF YOUR AN IDIOT!!!!!! Classic clothes look horrible!!!! !What’s wrong with kids being sassy! ?I feel bad for your kids.Don’t waste your time on this garbage. Thanks for your honest feedback! All opinions welcome here. This post reflects mine. I like chasing fireflies.also im a kid with a website.